In the last ten years, we have seen a massive increase in the number of franchising businesses in the UK. The value of the franchise industry is now estimated to be around £15.1 billion, up 46 per cent since 2006, with over half of UK franchise businesses turning over more than £250,000 per annum. As the UK economy enters this period of uncertainty, there is talk of a further reduction in interest rates to stimulate the economy and even some concerns that we may enter another recession. However, as we are at least two years away from leaving the EU, the general consensus at the moment is ‘business as usual’. There will be no immediate change to English or Scottish law, so franchisors need not panic or take any immediate steps to improve their franchise or Master Agreements. But franchisors do need to examine existing supply and purchasing contracts to consider how and when they can be terminated or renegotiated as necessary and, where possible, they may wish to replace long-term contracts with shorter-term agreements that will allow for more flexibility in future. Although economic uncertainty may have led some prospective franchisees to initially delay their decision to invest in a franchise, now that the dust has settled somewhat, everyone is better placed to assess the immediate and longer-term implications. Certainly, those banks which specialise in lending for the franchising industry, such as HSBC, Lloyds, RBS, NatWest and Metro Bank, have already confirmed that, as far as they’re concerned, nothing has changed and Brexit will not impact on their lending to the franchising industry in the immediate future. The franchising industry has traditionally performed well in times of economic uncertainty, so it’s realistic to hope that the same trend will continue as we move to leave the EU. There are, of course, no guarantees for the individual, but as franchising systems are based on tried-and-tested, successful business models, it’s fair to assume that the franchising industry as a whole should continue to perform well, even if the economic outlook is weak elsewhere. One issue that franchisors will need to consider is the employment of EU workers. Stopping the free movement of EU workers was a key factor in the Brexit vote; however, it is unlikely that the EU will allow the UK to close its borders to EU workers without a fight. Franchise businesses that rely on UK nationals to work in the franchise in Europe (either for the actual franchisor or for a franchisee business) may need to apply for work visas and residence permits. An easier alternative may be to consider simply hiring EU citizens to work in these roles instead, however, as franchisors have two years to evaluate and amend their employment strategy, and most franchisors do not tend to employ large numbers of staff abroad, this is hardly likely to be a major concern. 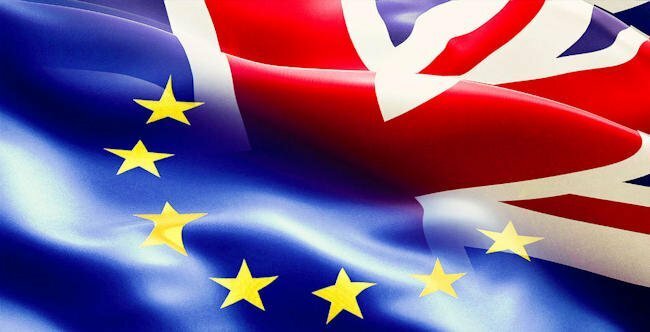 In summary, my most valuable advice to franchisors and franchisees would be to avoid panicking and, once we have more information to hand as to how Brexit is actually going to work in practice, take time to devise an action plan to assess the potential impact of Brexit on every aspect of their business. Staff – this will depend on how reliant the business is on the free movement of workers. Supply chain – especially if the franchise system involves supplying products to franchisees in Europe or purchasing products from EU Member States. Legal agreements – if agreements are governed by UK law, will there be any difficulties enforcing them within Europe post Brexit? The AFA is always on hand to provide advice to our members so, if you have any concerns or queries regarding Brexit, please do give us a call on 01604 532 533or click here to send us an email enquiry and we’ll see how we can advise you.